“One of the original [campaign]issues was to try and rebuild the strong community that Birmingham had always had with the Irish community prior to the 21st of November 1974. The sculpture is the work of artist Anu Patel who also designed part of the Birmingham Peace garden. “It has a total of 18 leaves with 21 names of all the people who were killed. It’s a project that’s been going on for a couple of years. Anu had been working with Network Rail when the Irish community began contributing to the project. Birmingham City Council included a requirement to have a sculpture as part of the layout of the station, says Anu. 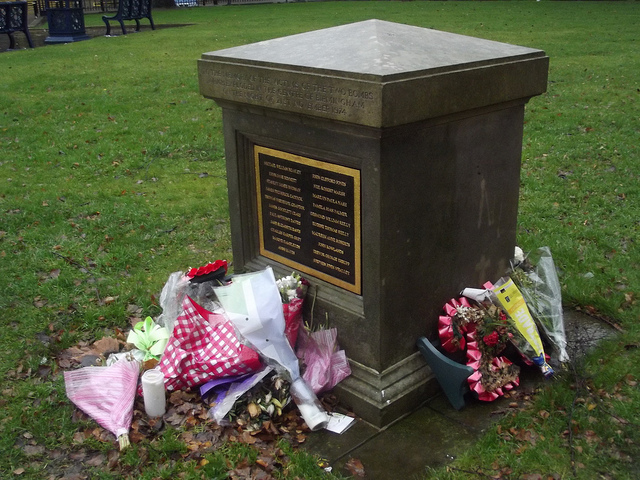 “There had been many discussions about a memorial in the past and it was the right time for something to come through, all the enthusiasm was there and they wanted to make it happen”.